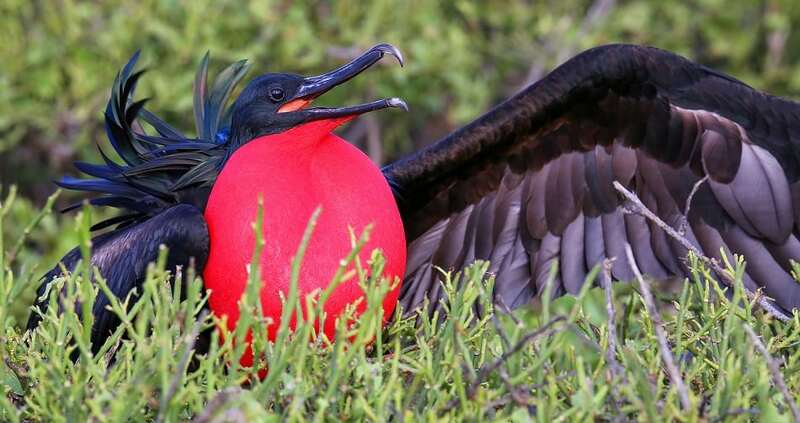 Frigatebirds are a family of seabirds that can be found on all tropical and subtropical oceans. They are 3 feet long, with a wingspan of 6 feet. They have straight bills hooked at the tip, linear nostrils, a bare face, and fully webbed feet.